709 Windsor Dr, Homewood, AL.| MLS# 841386 | Richard Jacks UABLIVING.com 205-910-2297 | Birmingham AL Real Estate | Contact us to request more information about our Homes for Sale in the Birmingham AL area. All brick move-in ready 3 bedroom 2.5 bath home in the highly desirable Hollywood area. This charming Homewood cottage comes with hardwood floors throughout, a beautifully updated kitchen with granite countertops, tile backsplash and stainless appliances. There is 550 square feet of FINISHED basement that includes a bonus room, full bathroom, and laundry room. The bonus room in the basement would make an ideal office, den, man cave, playroom, guest bedroom OR could also be rented out to a tenant. 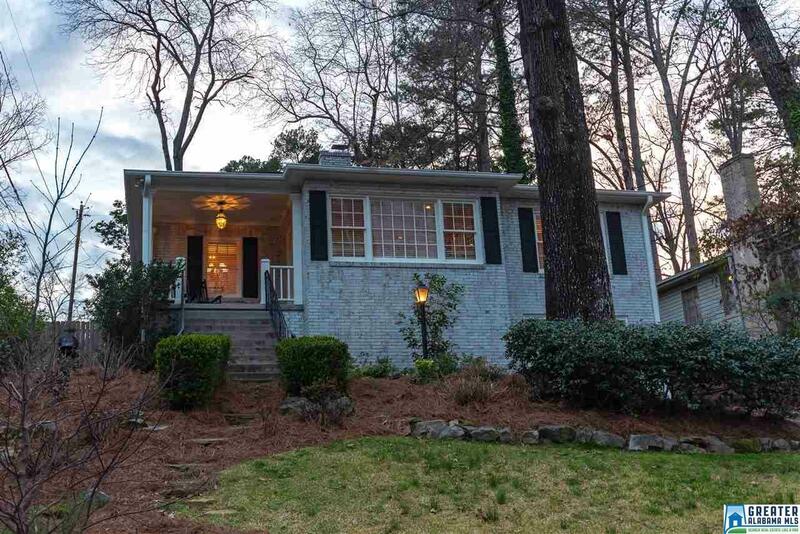 The location of this home is absolutely PERFECT as it's literally minutes from downtown Birmingham, UAB, Brookwood Mall shopping and restaurants, Target, Brookwood Hospital, Samford, Highway 280 & 31 as well as walking distance to both Jemison and Lakeshore Trails. The large fenced-in backyard with new playset is perfect for children while the huge open patio & sitting wall is ideal for entertaining outside. Award winning HOMEWOOD CITY SCHOOLS and only minutes from Shades Cahaba Elementary! Driving Directions: From Shades Creek Pkwy. Turn Onto Windsor Drive At Light Across From The 280 End Of Brookwood Mall. Home Is On The Left.